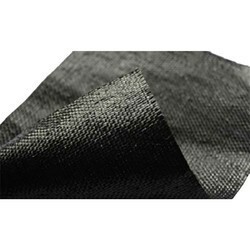 Prominent & Leading Manufacturer from Thane, we offer geosynthetic membrane. 1 00 GSMnon- woven Geosynthetic Membrane, thermally bonded Water proofing membrane. It is 100% polyester, thermally bonded fabric. Its robustness prevents puncturing & tearing during & after application. It is Resistance to root penetration. It is brilliantly design for less material consumption and taking any shape of surface helping to bond to almost all substrates.